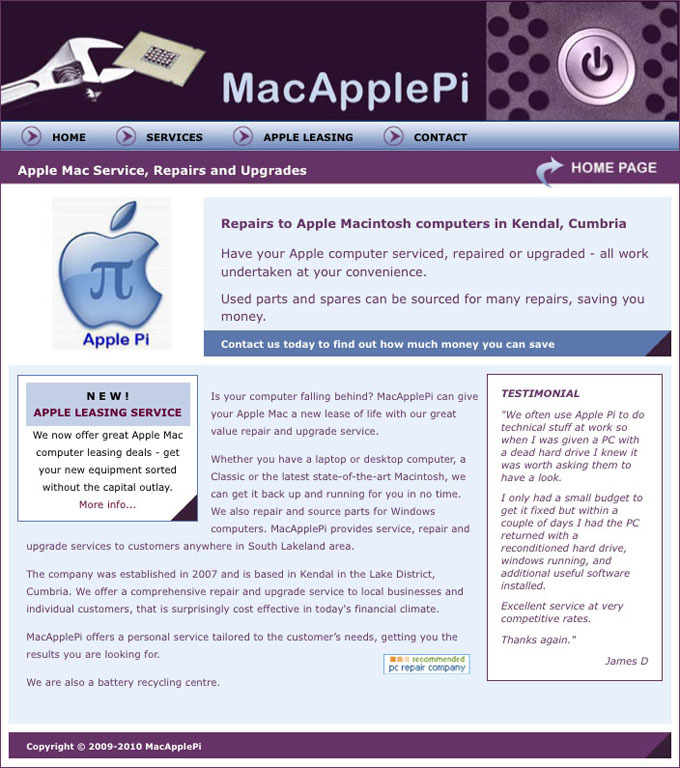 New website design for local Apple Mac computer repair and leasing service in Kendal in the Lake District. The client had previously built a site using an online web building service that was discontinued. He liked the look of his original site so we used that as the basis for the design and incorporated some improvements. The search engine optimisation proved effective and search engine traffic has been very relevant, resulting in a good amount of new business through the website.